I try to eat oatmeal twice a week for breakfast. 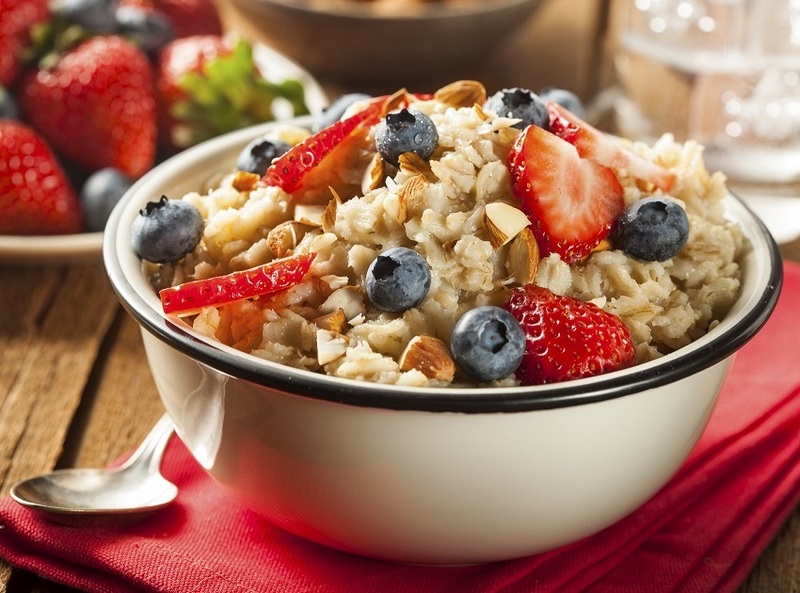 It is a great way to get whole grains and, topped with blueberries or strawberries, I get a serving of fruit before I am even out the door. I love the taste, texture, and satiety of steel cut oats. What I don’t love is the time it takes to cook. It is not a part of my morning to stand and stir for 30 minutes (or more). I have discovered the EASIEST way to make steel cut oats for my whole week in just minutes. It is also fool proof – works perfect every time. Place 1 cup steel cut oats and 4 cups water in a medium pot. This will make 4 servings. If you only want 2 – just make half this. 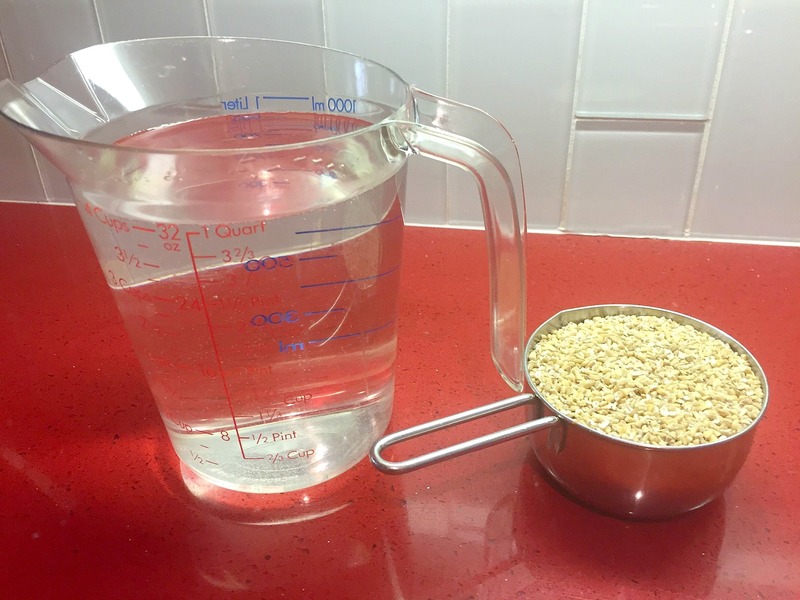 If you need more, well you get the picture – just use a 4 to 1 water to oat ratio. Bring the mixture to a full boil. Cut the heat off and place the lid on the pot. 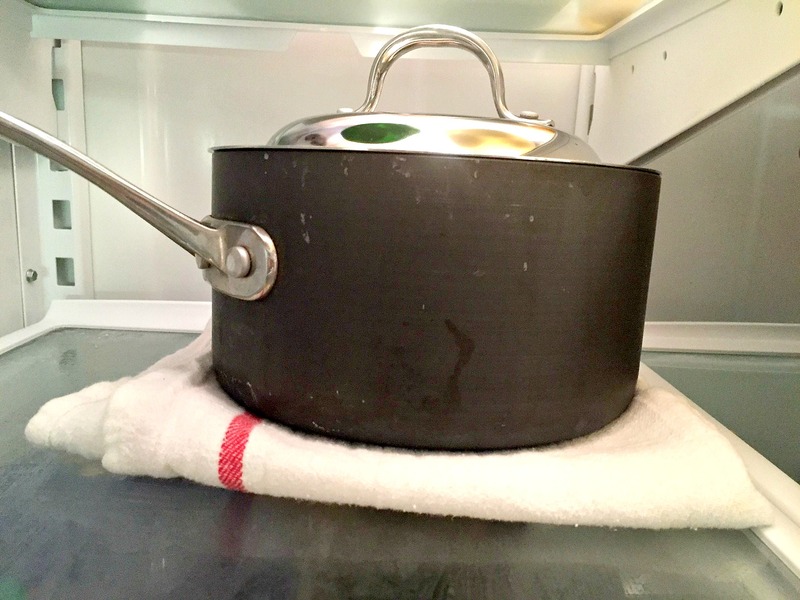 Place the pot on a towel in the refrigerator overnight. Next morning, heat the mixture and serve. It is the perfect doneness and thickness. Note: If you don’t need all four servings at once, just remove what you don’t need and put back in the refrigerator in a container with a tight-fitting lid. I usually make enough for my whole week on Sunday night. That way the oatmeal is ready each morning – just heat and eat. 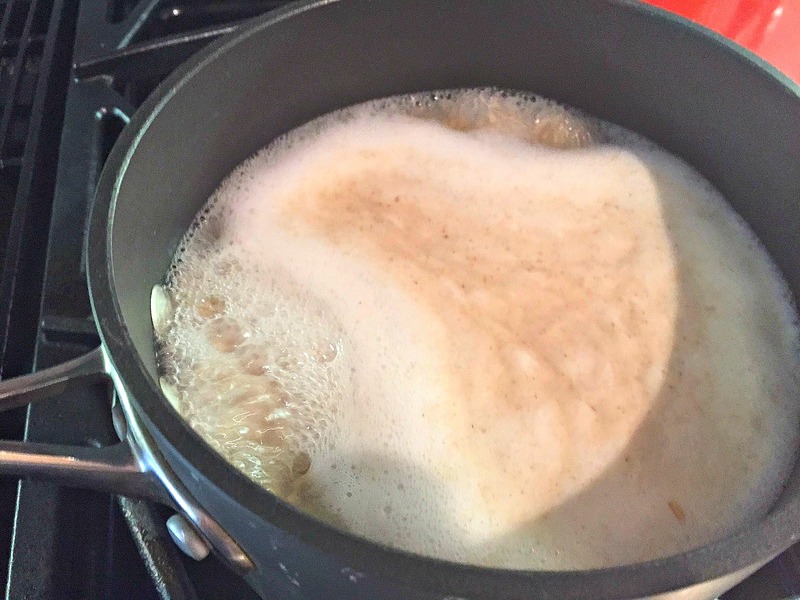 Thank you for sharing this method of preparing steel cut oatmeal. With this short cut, I’ll be sure to enjoy it more often. I just put those back on the shelf yesterday because I didn’t feel like I had the time to cook them in the morning before work and kids going to school. I will definitely try them when I use up the oatmeal that I purchased. Do you cool the oatmeal to room temperature before putting it in the fridge? are quick cook organic steel cut oats just as beneficial? walmart sells thier brand cooks in 5-7 minutes? Then I like to stir in a spoonful of nut butter (cashew and chunky almond are my favorite) and berries. If it’s not sweet enough, I’ll add pumpkin spice to change the flavor without having to add an actual sweetener. Others could add cinnamon for sweetening–it’s just not an option for me because it triggers migraines.